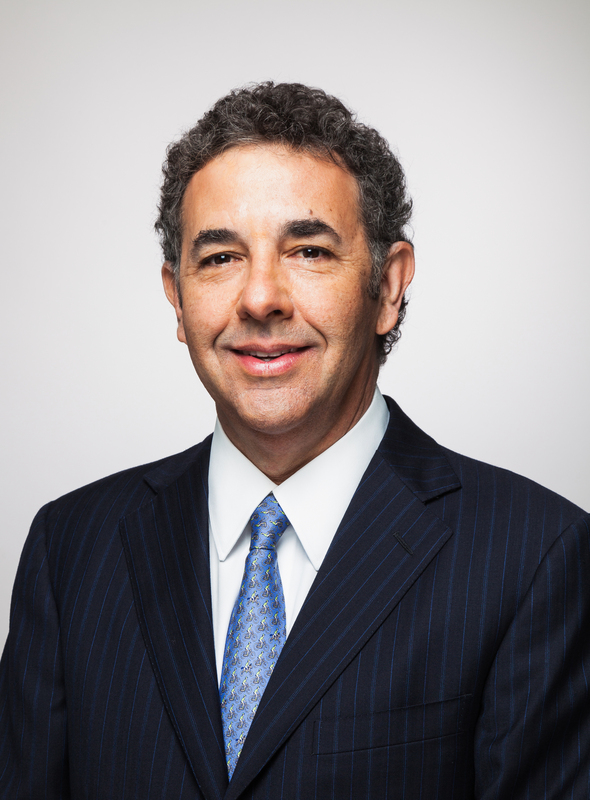 James Cassel, chairman and co-founder of Cassel Salpeter & Co., is an investment banker who uses his unique experience as a dealmaker and attorney to guide clients and help them achieve their goals. Focused on representing middle-market companies, Jim has successfully negotiated, structured, and executed a broad spectrum of transactions including mergers, acquisitions, and divestitures, corporate and transactional financings, and public offerings for clients nationwide and worldwide. Can you tell us a story about how you were able to build a business from scratch, scale and sell it to a bigger firm? I, along with two partners, started the investment banking firm Capitalink. When we started in 1998, we thought we would raise money primarily for technology companies. Unfortunately, we were not successful at it, so we pivoted in a new direction providing financial advisory services to lower middle market companies. I had provided legal services to these same type of companies when I practiced law. We went on to build a successful M&A and advisory shop becoming known as “Mr. Fairness Opinion” in South Florida and New York. In 2006, we were approached by Ladenburg Thalmann, one of the oldest members of the NYSE, which was looking to expand its South Florida presence. It was a great opportunity and as a result we sold our firm joining to become part of Ladenburg. I became Vice Chairman and Head of Investment Banking. The biggest mistake we made when we started the firm was believing we could raise capital for technology companies. Turns out although just about anybody could raise money in 1998 for technology companies, we couldn’t. It’s funny now, but it wasn’t at the time. What we learned was that we should stick with what we know. We also learned that when we were ready to expand, we should hire experienced talent with the right skill and relationships to assist as we ventured into new areas. 1: find a need in the market and service it well. That need may be closer and more familiar to you than you may at first think. Remain focused. As I mentioned earlier, when I started out in investment banking, I thought we could raise capital for tech companies and soon discovered that it was much more challenging than I, or my partners, had anticipated based on our prior experience. Many entrepreneurs looking to fill a need in the marketplace also assume the answer may lie in the tech sector. But, more often, the tech market can prove to be a bit of a Wild West, with new players emerging to service customers who have yet to settle into predictable behaviors related to these emerging products. It’s difficult to plan for and to serve a market that is still in a state of flux. Though our firm eventually was able to find success in tech M&A, we learned from the many different industries of companies we have worked with, that sometimes finding your niche is less about relying on tech, than on having a new spin on a conventional product or service. We encounter opportunities for improving products and services more than we know. A small innovation in this area could mean a huge payoff if executed correctly. In this vein, I often think of the success of Proctor & Gamble’s Swiffer mop. The mop, in one form or another, has been around probably as long as humans have wanted to keep their floors clean and dry. But it took a bright mind in the 1990s to rethink the mop and see it like a razor blade and handle combo: cheap handle, disposable and replaceable blades. That product continues to successfully circle the world. I use it myself. 2: While this article is focused on the ultimate sale of a successful company, you may be taking the wrong approach if you are only thinking about your lucrative exit. Build a business that you envision as being around for a long time, with or without you, not necessarily one you want to sell. But when the opportunity appears, don’t be scared to seize the moment. 3: Hire the right people. You can’t go it alone. Succeeding, which means growing, is a team effort. From the perspective of an investment banker who often helps companies prepare for an exit, I know that growth and success starts with the people you hire. My own success has come in great part from carefully choosing who joins our team. I can tell you from experience that if you have chosen badly, you have to react quickly. Don’t delay the termination. Your team is everything. Hiring the right people means everyone works together and is contributing, doing their part. Those who don’t fit the program have to go. The sooner you cut your losses, the better for all concerned. When you go to sell your business, you will be rewarded for a good management team and penalized if you do not. 4: Treat your people well. When you’ve found the right people you have to let them know they are the right people. You do this by compensating them for their talent, expertise and labor. You treat them with respect and you present them with opportunities to grow and excel. And, you give them the loyalty which you, in turn, expect from them. 5: Treat your clients and customers well, too! Seems simple and obvious, but you’d be surprised how many business owners fail to extend their regard for their own company to their clients, who not only deserve the best service but optimal transparency about it. 6: Dreams and hunches about growth are a beautiful thing, but if they aren’t tied to reality you won’t get any traction when it comes to scaling up. To ensure you can really grow your company you have to see what that growth would look like on paper first. Do you know how much you want your business to grow? Can you assign a number to that? How many more customers are you thinking of reaching? Can the market sustain that number? Are there going to be that many consumers flocking to your product? Do you know, in detail, how you will attract them? Do you know how much it will cost to attract them? You have to game all of this out as if it were really happening. Now ask yourself, if I had all of those customers, how would my business need to change to accommodate them? Now you are into a whole new set of predictions, analysis and research. Do you need new staff or a new facility? Will you need to visit an investment banker like myself to find the funding you need? The dream of your company’s growth must be built on these hard facts. Try to avoid a business being dependent on one person, being a one product or service company, or having large customer concentration. What are some of the differences in approach for building a service-based business versus a product-based business with an intent of selling the business at a lucrative price? When it comes to service businesses, it’s all about the people and the brand. Quality is very important in finding the appropriate niche. The more value that is perceived for your service, the more the value of your company. When it comes to a product-based business, it is about quality, design, functionality and value. You should not do this alone. One of the benefits of hiring an investment banker is that they have the relationships and can get to the right people. They do research. There are different databases one can use such as capital IQ or PitchBook. Generally, you’re looking at one of three types of purchasers: strategic, financial buyers such as private equity firms, or family offices. Finding the right buyer is difficult and finding the right people at a prospective buyer to make contact with can be even more difficult. One of the benefits of hiring an investment banker is that they do this day in and day out and have many relationships. If one is looking to replace their income from the sale of their business, it is difficult to do. In order to determine whether one should sell their business versus retain it for residual income there are many things to consider. Some might have to do with your personal wishes as to involvement, or whether you believe you can hire the right people to lessen your involvement. Other issues to think about are technological obsolescence or when your business is no longer needed. Imagine if you still owned a Blockbuster franchise. Best to have sold it years ago. The best way to determine the value of a business and therefore a good selling price is to go to market. The market will determine what a business is worth. Many people hire firms to perform valuations prior to sale. I generally do not believe this is a worthwhile expenditure as it’s more of an academic exercise than determining the true value. One can certainly find a range of value by looking at comparable transactions and comparable public company values. However, every company is different, therefore valuations can vary by a large amount. The larger the company, the higher the multiples they generally will get upon sale. My movement would have to do with the environment. I am scared for my children and grandchildren as to the earth that we might be leaving them with. I remember over 30 years ago the first Earth Day. I’m not sure the strides that we sought to take have been accomplished. These days, many businesses are more concerned with the immediate rather than a long-term view. This is very troubling. “God gave you two ears and one mouth. Therefore, try to listen twice as much as you talk,” which was my father’s variation on the famous quote from the stoic Greek philosopher Epictetus.